You are here: Home » Blog » NEMCOG Passes Industrial Hemp Resolution! NEMCOG Passes Industrial Hemp Resolution! 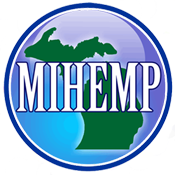 The Northeast Michigan Council of Governments has approved a resolution that prods lawmakers to ease restrictions on growing industrial hemp. The resolution passed by an eleven to one vote. A pdf of the signed resolution is available here. ← Montmorency County Passes Industrial Hemp Resolution!